Your Feet Are NOT Supposed to Hurt! Welcome to Urban Podiatry. The Top Choice for Foot Care in Columbus, Oh. 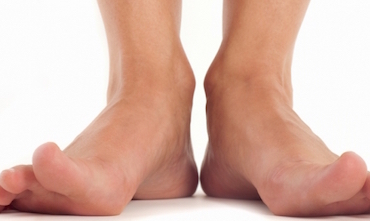 Half of all Americans are infected with toenail fungus by the age of 70. This condition not only poses a cosmetic issue, causing nail discoloration and deformity, but also can have a serious impact on quality of life, causing pain while walking and creating a social stigma that can inhibit routine activities, such as wearing open toed shoes. Custom Orthotics are shoe inserts created from a mold of your foot that are intended to correct abnormal or irregular foot function. They perform functions that make standing, walking, and running more comfortable and efficient by altering the way at which the foot strikes the ground. Individuals with diabetes that are at risk of developing skin ulceration along with those individuals that suffer from complex foot deformities can significantly achieve relief from custom extra depth shoe gear. 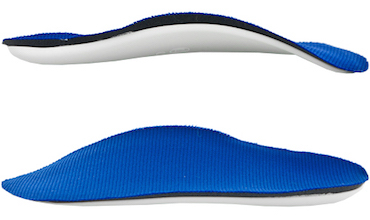 Urban Podiatry will provide custom fittings and order the appropriate shoe gear for each patient’s set of concerns. Urban Podiatry is the private podiatric medical practice of Dr Scot F Bertolo, DPM. 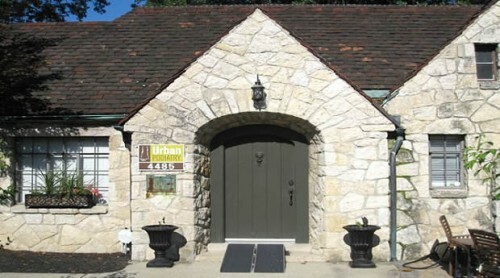 Located in Clintonville, Urban Podiatry was founded in 2009 with the vision to provide exceptional foot and ankle care to the greater Columbus metropolitan area. Dr Bertolo is a native of Syracuse, NY and a graduate of the Ohio State University. He completed an intensive Podiatric Medical and Surgical residency from the Cleveland Clinic Foundation and Kaiser Permanente in Cleveland, Ohio graduating in 2002. Prior to founding Urban Podiatry, Dr Bertolo was an associate physician for seven years within large multi-disciplinary medical practices. Four years with Internist Associates of CNY in upstate NY and three years within the greater Columbus community with the Columbus Neighborhood Health Center system. While with the CNHC system Dr Bertolo provided podiatric medical and surgical services to the many uninsured and under insured patients residing in the the greater Columbus community. These professional experiences helped Dr Bertolo establish the solid framework necessary to provide genuine compassionate and comprehensive patient care. At Urban Podiatry, our mission is to provide accurate diagnosis through a careful and engaging process of listening to your concerns along with performing a thorough history and physical examination. In doing so we are able to implement a comprehensive treatment plan that effectively addresses and treats your concerns. Our experienced staff is fully dedicated and focused on treating you and your foot and ankle concerns. Our goal is to ensure your problems are treated quickly, comfortably, and effectively with evidence based medicine, up-to-date technology and hands on treatment in a cost-effective environment. Urban Podiatry treats patients of all ages from children to adults with a scope of practice that ranges from simple skin and nail disorders to complex painful foot & ankle conditions, sports related injuries and trauma. No matter how minor or complex your problems may seem, our interest is always to provide you with our undivided attention to help make you feel and get better quickly. Our passion for helping people has translated to an earned trust of thousands of patients, their families and other doctors in the Columbus community who’ve placed their care in our hands. Our staff has years of combined experience working with clients of all backgrounds. Due to our hard work and dedication to our craft, we’ve built a strong relationship with our client base that brings the back time after time.